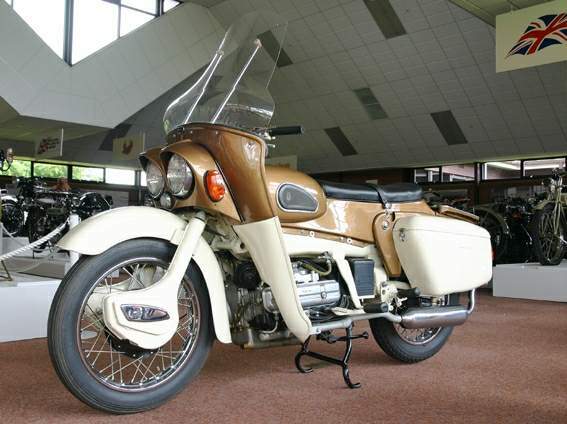 This fascinating 700cc prototype, tested at Ariel circa 1960, shows that BMW’s four-cylinder K100 was not exactly original when unveiled in 1983. 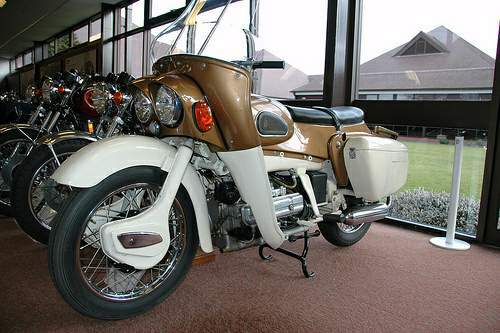 The prophetic Ariel looks similar to the company’s innovative 250cc Leader two-stroke launched in 1958, with a pressed-steel frame, leg shields and windscreen. But the power unit is unlike anything else from a British factory. The crankshaft is set in-line with the frame and slightly offset to the right, with four horizontal cylinders on the left. Final drive is by shaft, via a four-speed gearbox is built in unit with the engine. Cooling of the exhaust port area is fan-assisted and oil is carried in a wet sump. Found to be comfortable, tractable and extremely quiet, the luxury electric-start Leader 4 was not fast. 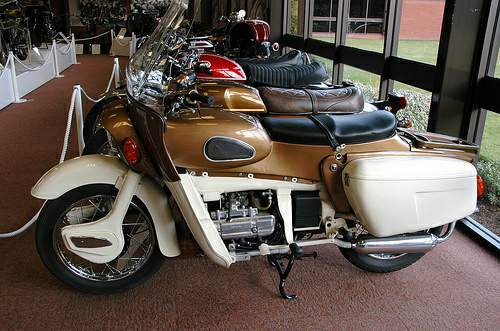 In prototype form, the single carburetor engine designed by industry veteran Val Page produced no more than 25bhp. Ariel engineers believed their design had potential, but the parent BSA Group saw no future for it in the age of the BMC Mini car and cancelled the project.